DEAL: Save 21% on PetChatz HD and PawCall (as seen on the Today Show)! Save 21% on this PetChatz HD and PawCall: Digital Daycare with two-way premium audio/HD video pet treat camera w/DOGTV, sound/motion triggered video recording, calming aromatherapy (as seen on The Today Show) on Amazon! 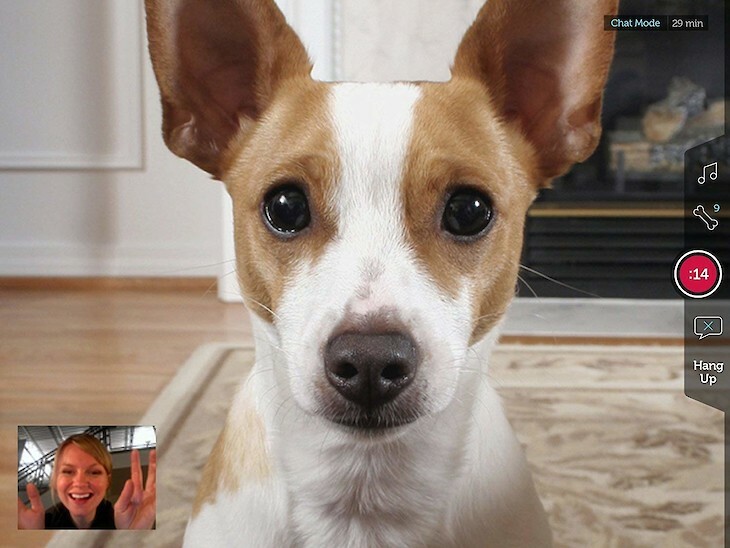 PetChatz HD is a premium 2-way interactive treat camera that allows you and your furry friends to connect when apart. It was designed by top pet behaviorists, researchers, psychologists, and technologists. It offers the only fully interactive pet experience. Instead of spending $1000’s a month on daily doggie daycare, you can have the be there from anywhere experience in the palm of your hand. To keep your dog mentally stimulated throughout the day, we developed PawCall. PawCall allows your pet to contact you and play games during the day. On prescheduled times, your pet presses PawCall. You will then be notified that they want to chat. PetChatz Digital Daycare is a full day of interaction and entertainment for your home alone pet. A completely interactive experience with two-way video chats, treat dispense, calming aromatherapy, brain (treat) games, pet-to-parent messaging (with PawCall) and entertainment with streaming DOGTV. All in the safety and convenience of your home. (DOGTV subscription required). turn on the sound/motion triggered PetWatch video recording to capture your pet’s activity while you are away. pet-safe design made in the USA with no corners, edges or cords to chew; attaches securely to your wall (>100 lb pressure tested) or kennel for optimal pet safety. designed by top pet experts to be much more than a treat camera, the PetChatz Digital Daycare System can be controlled from anywhere using an iOS/Android app or desktop computer. premier US Based PetChatz Customer Care available to help with any questions.